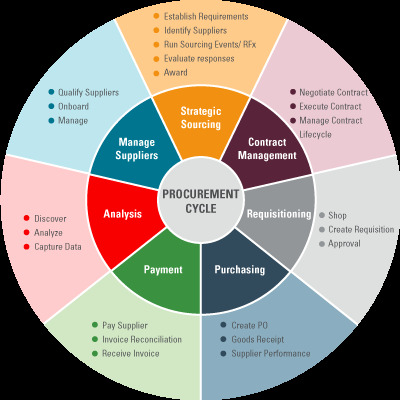 Streamline Online Procurement System to Reduce Spend and Improve Supplier Management. Our Procurement management system software allow real time enterprise spend analysis report and easily connect the largest ommunity of trading experts. With the recent economic downturn, most companies have revised their policies and are now emphasising more strongly than ever on getting the best products and services their money can buy. In today's corporate environment, where unbudgeted expenses are driving a hole in the company's revenues, procurement management is the need of the hour. For effective procurement management, you need to have a clear-as-water view at the company's expenditure. You also needs to be able to quickly zero in on the key spend categories and manage overall costs of a transaction while complying with contracts and policies. You need to deal with budget cuts, outdated supplier information, scattered data and a lot of paperwork. This is no cakewalk. Enaviya's EnavPurchase application is your single- point solution to all this hassle. EnavPurchase is one of Enaviya's Expense Management of eProcurement software solutions for Pharma, Automobile, E-commerce and other Industries. It is a web- based procurement solution that allows you to fully automate your procure-to-pay procedure. It lets you handle the whole procurement process with great ease. Why EnavPurchase E-Procurement Management Software? EnavPurchase helps to simplify the purchasing process and lower transaction cost. It helps save decision making time and help streamline the workforce. It will improve the operational efficiency of your procurement department to give you a competitive boost over the others. By automating the entire process, you ensure smoother and faster purchasing. By centralising your company's procurement requirements, EnavPurchase reduces redundancy. It aims to add a strategic value and helps boost the financial performance of your company. With so many benefits, EnavPurchase ensures speedy return of investment.